I dropped by my favorite carwash kiosk yesterday to have my car washed (… Of course, Hehehe!) 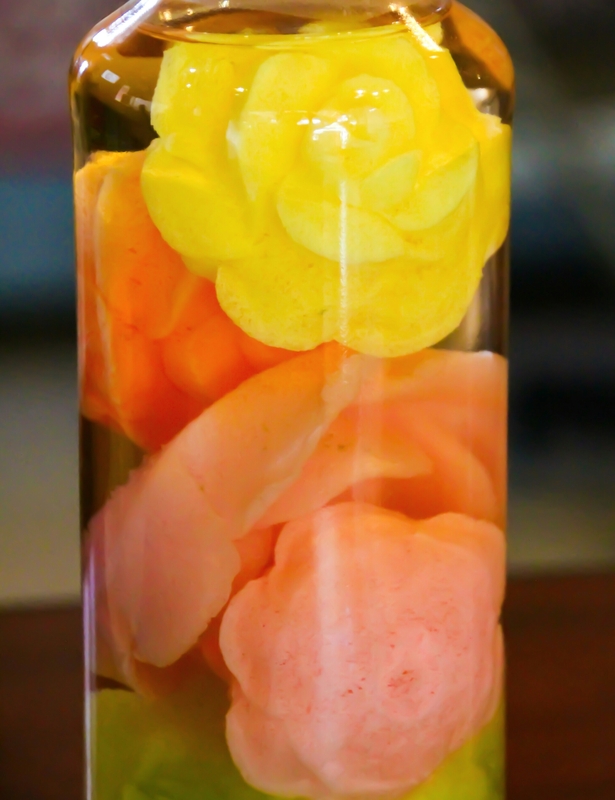 and I saw this bottle with “flowers” inside soaked in a liquid. I asked the receptionist what are these. Unfortunately, she also doesn’t know. I am not sure whether these are real flowers or just imitations. 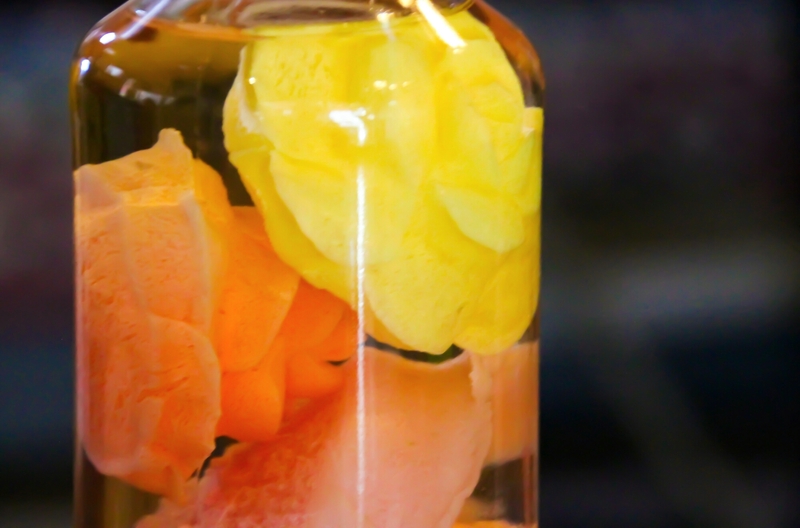 And I also don’t know what the liquid is… It might be water or formaldehyde to keep the flowers fresh. I’ll have my chemist friend do a forensic analysis of this mysterious artifact…! Amazing… You know this, bro? of course, i’ve seen those in my dreams last night and you were the one carving each piece! great artist! 😀 ….seriously, chop suey ‘yon! Pretty, regardless! It does look a little like soap. Looks like the texture of ice cream…..SOAP! I’m not sure what it is… Next time, I’ll take it home and do a scientific study on it. It might have been left by the ancient aliens. Or probably, it was unearthed from the Giza pyramid. Very pretty though, let me know when you solve the mystery!